The Parlor Girl: 12 Days of Christmas Giveaway: Day 2~Oh My Chic Etsy Shop Giveaway! 12 Days of Christmas Giveaway: Day 2~Oh My Chic Etsy Shop Giveaway! Welcome to Day 2 of the 12 Days of Christmas Giveaways! If you missed yesterday’s giveaway, you can enter here. You guys this is great stuff for 12 days. I am so excited for all of you each and every day. If you fall behind and miss a day. I have included a button (12 Days of Christmas picture) at the bottom of the post that will link you to all of the days. Today we are giving away a prize from Oh My Chic Etsy Shop! But before we get into details, let’s introduce you the lovely blogger behind the shop, Jody. Oh My Chic is an online shop that carries fun fabric creations ranging from headwraps to scarves. It has been featured on All Things Lovely Daily Deals and Fresh Things Utah on KUTV 5. With Christmas coming fast, Oh My Chic is the perfect place to get some fun accessories for your loved ones! Jody is offering one lucky reader their choice of any item from Oh My Chic’s collection. 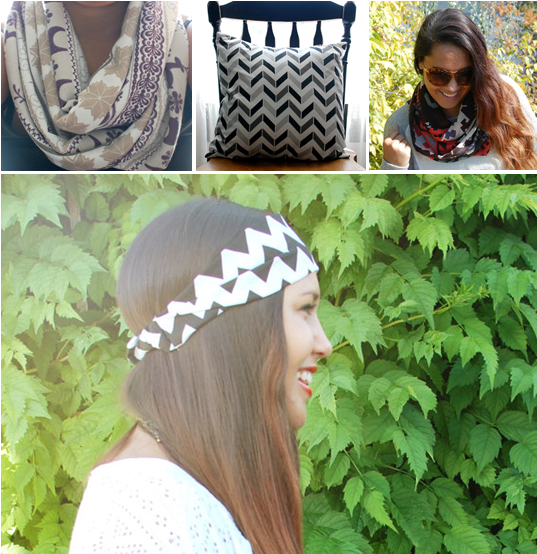 Choose from cute scarves, headwraps and pretty patterned throw pillows! Use the Rafflecopter below to follow Jody for 3 easy entries in the giveaway! Get over 40 additional entries to increase your chances at winning! Make sure you check back each and every day for your chance to win some exciting prizes this season!